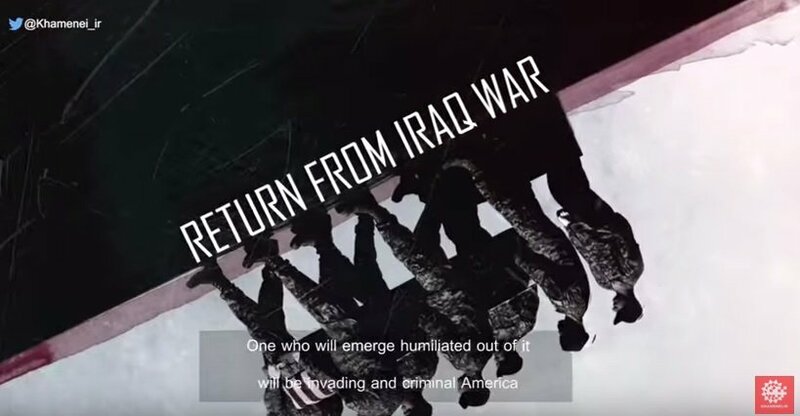 The video then shows US soldiers returning home in caskets. Democrats approved Obama’s nuclear peace deal with the regime last week. Ayatollah Khamenei tweeted this out earlier today. 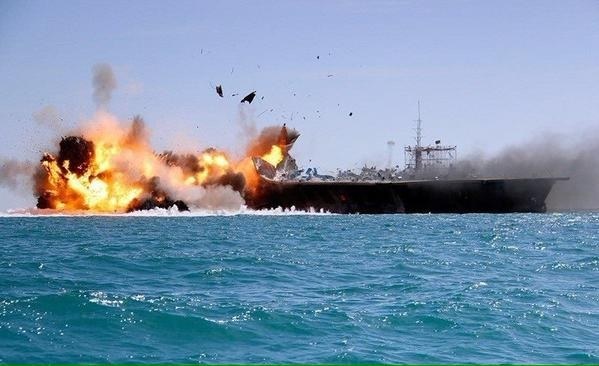 Iran’s Islamic Revolutionary Guards Corps launched a massive military drill, called The Great Prophet Nine, in the Persian Gulf and Strait of Hormuz in February. Hundreds of speed boats equipped with missiles took part in the maneuvers. 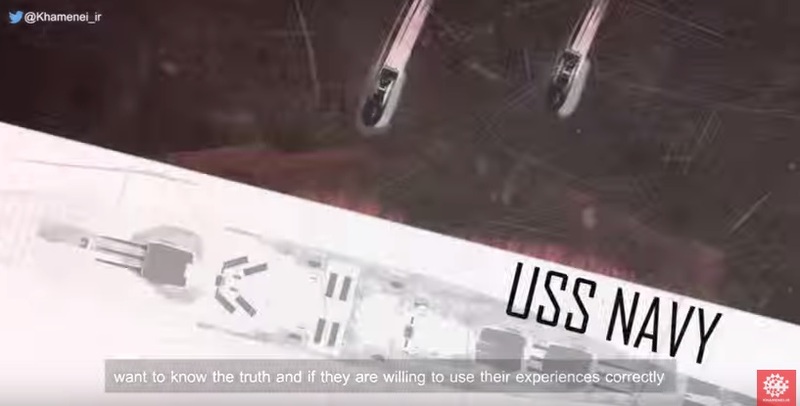 The Iranian regime sinks a mock US battleship.